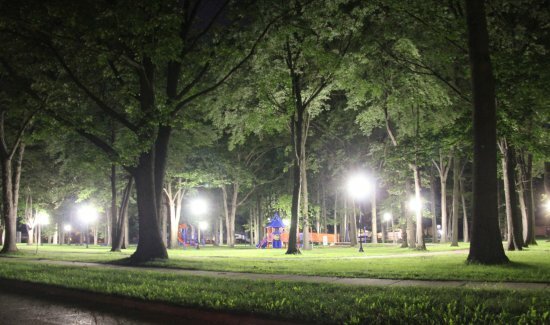 DEARBORN HEIGHTS, MI (9/26/16) – As previously announced, the Dearborn Heights Tax Increment Finance Authority (TIFA) sponsored the purchase and installation of twelve (12) brand new LED lights in Daly Park, located within the boundaries of the TIFA District. The new lights, mounted on decorative poles, were installed earlier this summer. Many residents have welcomed the new addition and have commented on the noticeable difference they make for visibility and security in the area. The TIFA Office had been working with DTE over the last few years, in which time the technology and cost of LED lighting has improved significantly. 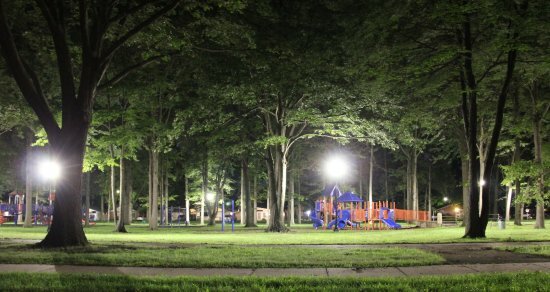 Having received a formal cost estimate from DTE of just over $36,000, the TIFA Board approved the necessary funds at one of their regular meetings and forwarded the request to the City Council who also unanimously approved the project. Residents are encouraged to visit and enjoy Daly Park, located at 4450 Westlake Street (between Lehigh & Hopkins Streets).